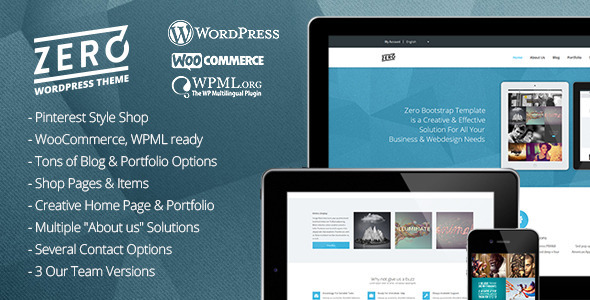 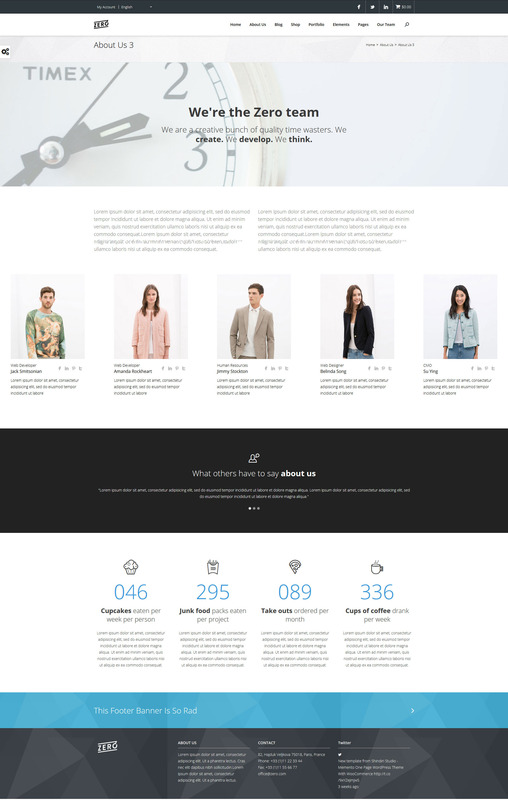 Zero wordpress template is a multifunctional, creative wordpress template with integrated WooCommerce. 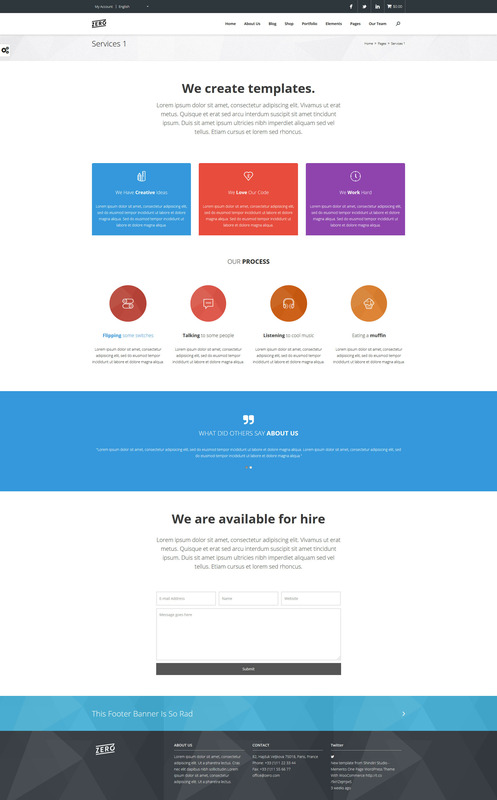 The professional design of the template allows it to be whatever you need, so it is multifunctional in every way. 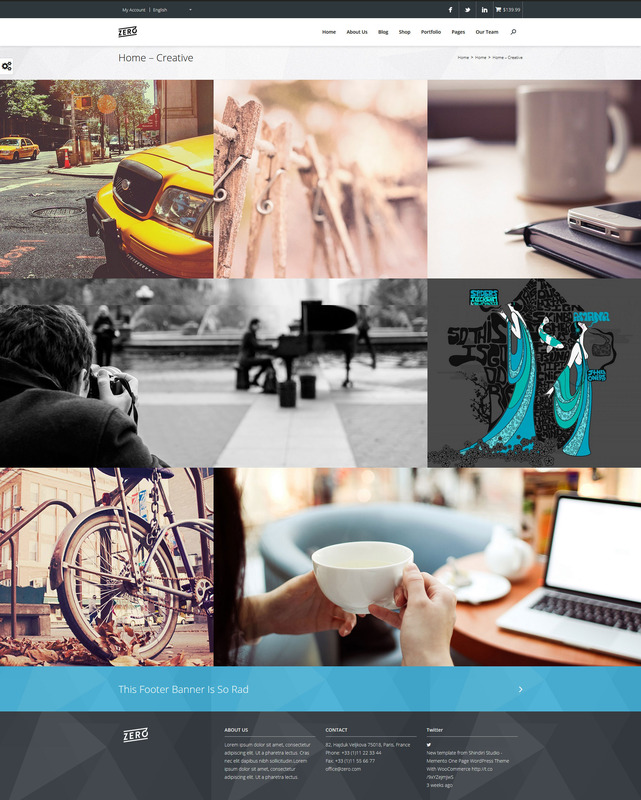 With advanced page building with drag & drop editing it has never been easier to modify or create the content.